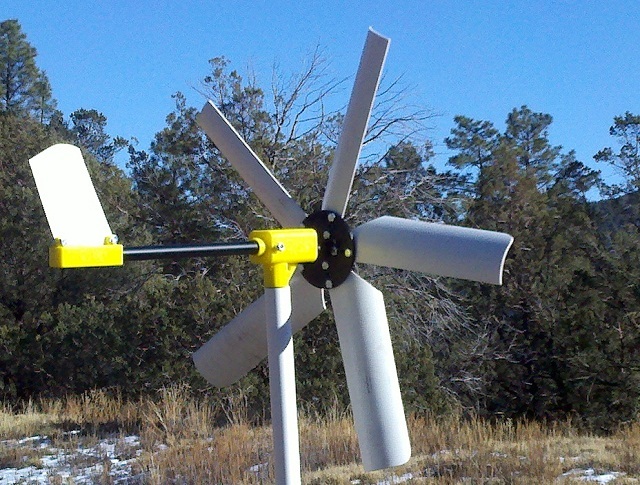 "This little wind generator is a nice entry into learning more about wind energy. It is small, but works." "I am using it as an additional battery charger to compliment my solar setup." We have sold several thousand of these turbines over the years and they have been used successfully by boaters, farmers, RVers, campers, hunters and science classes all over the world. Wind power really works! 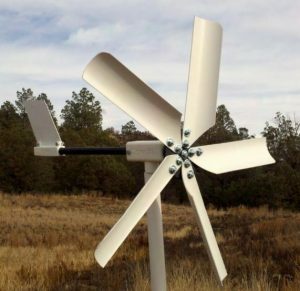 Many folks use these micro turbines with their solar panels when providing power to remote barns, shops, cabins, fence chargers, gate openers, sailboats etc. 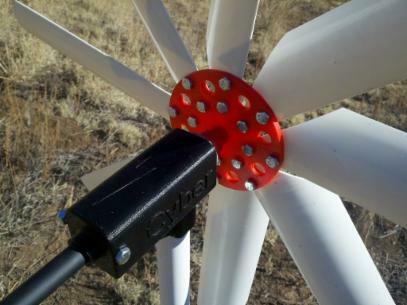 This is a new mini-micro medium-high speed wind turbine generator. It was designed to produce a maximum of 18vdc and 1 amp in 25 mph winds and the output increases as windspeed increases. 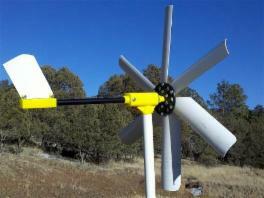 This turbine starts turning in lower winds and will charge AA and AAA batteries very well in 10-12 mph winds. 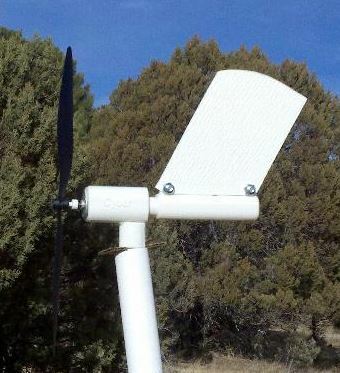 These 200W mini wind turbines are designed for MEDIUM wind areas. This is a 8-blade, medium wind turbine generator built entirely within the USA. Output is computed using open voltage times direct short amps measured at the turbine in perfect test conditions. It was designed to produce a maximum of 30 vdc and 8.5 amps in perfect test conditions. Please note that ALL of these generator motors are new and TIGHT. They will require more wind to begin turning until they loosen up. Wind chargers keep producing at night after the sun goes down, so consider using solar & wind together to keep batteries fully charged. 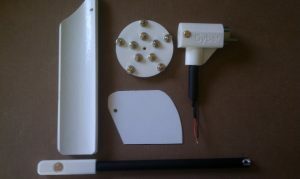 Simply hook to your charge controller with solar panel.